Today we introduce a new solid black material we are calling Jet. 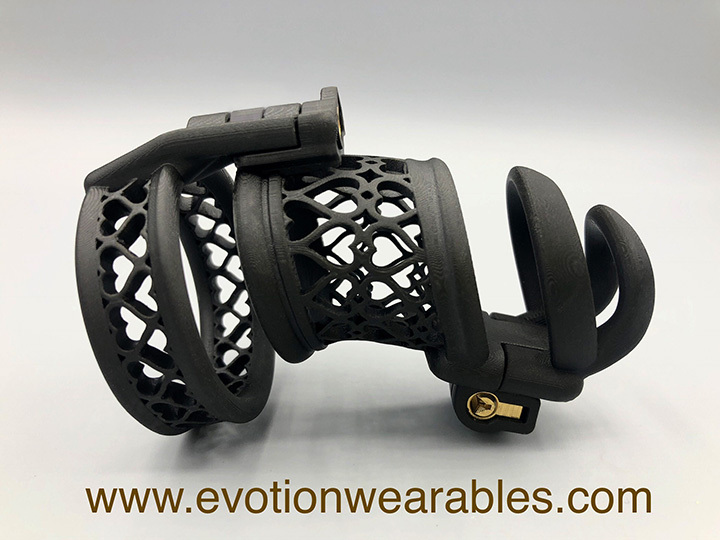 Now, cages ordered in all black will ship faster and will feature a beautiful satin finish that has a wonderfully smooth feel. These cages are solid black all the way through and will not fade. The print resolution is incredibly fine, showing off the beautiful detailing we put into every design. Now through the end of November get 20% off and receive your order before Christmas!